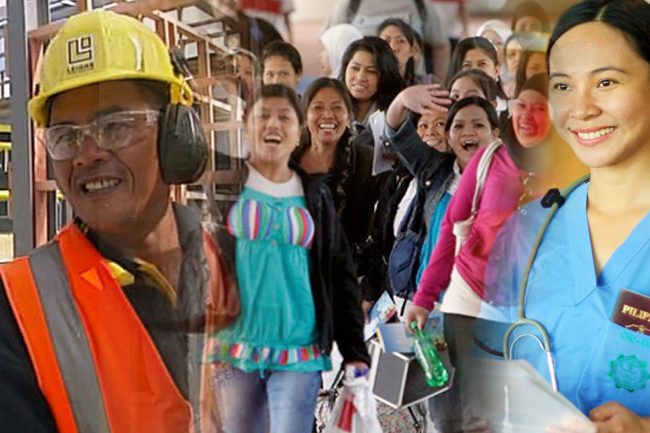 What does it take to be an OFW? 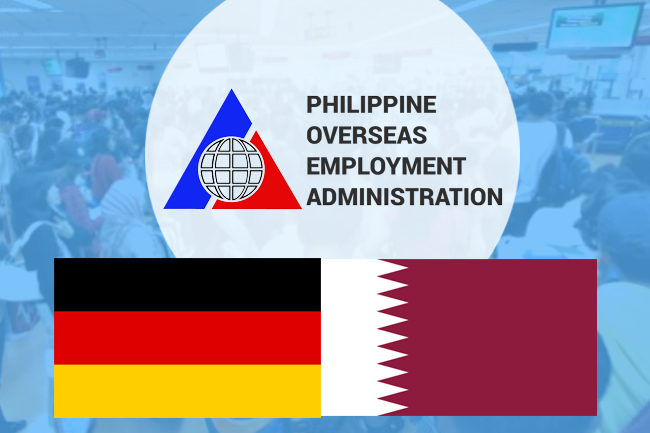 The term OFW (Overseas Filipino Worker) sounds sweet and yummy for most of us. If not all, most pinoys have a desire to go and work abroad for financial security for the family or in Tagalog we say “para sa pamilya”. Our concept of OFW is like Automated Teller Machine (ATM) where you could withdraw money anytime anywhere. Having an OFW relative is a pride for any Filipino family. People would always know that this particular family has someone in abroad that’s why they have a house and lot and a nice car. As we quip in tagalog,“Alam mo may abroad yan kaya may magandang bahay at sasakyan.” People always think that if someone in a family who works abroad, they are already rich. I also had this same concept until I became one. Leaving our loved ones for job adventure in a far country is not easy. It is, indeed, the toughest decision one can do. Sacrificing ones safety, happiness, money, time, even life for the benefit of the whole family is entwined in the term OFW and this is mostly unrecognized by many. What does it take to be an OFW? It seems an easy question but difficult to answer. To be an OFW requires a lot of qualities such as courage, industriousness, long-suffering, and prayerfulness, to mention a few. I can still remember what I felt when I first left my family (my eldest son and my pregnant wife) in the Philippines to take the risk and go adventure in looking for better opportunities abroad. I did not even say goodbye to my eldest son who was still 3 years old. It hurt a lot but I had to do it. “Philippines is not a better place for me to find financial security anymore”, I thought. Working in a foreign land is not easy at all most especially to a place where the people don’t speak the language you speak. I want to share with you top five (5) qualities you need to have or develop to survive as OFW. OFWs are visionary individuals: people with great ambition most especially for the future of the family. The main reason why an OFW goes out of the home country is the future of the family. Financial security and stability is very important for every Filipino family. OFWs work to send their children to better school, provide daily bread on the table, buy decent clothes, get good health care, run own business, and build a concrete house. If you want to be an OFW, you have to learn how to envision your future because as the days go by, you are nearing to your retirement age when you are not able to work for your future. Relationship is very important most especially if you are working in a foreign land. Building relationship is however difficult for some people but you have to keep in mind, this skill can be learned. Try to build good rapport which eventually create good relationship with your colleagues. If you are a shy person, learn how to mingle with other people and make friends little by little. Come out of your shell and comfort zone. You are a grown individual and you are already too big for your tiny shell. To retain and maintain your job abroad, you have to be flexible. Being flexible means you can do any other jobs outside your main job. In this case, you can do different duties when you lose your current job or when there is no available work in your field. Filipinos are known for being flexible, multi-skilled, and multi-tasking individuals. This is our advantage over others. If you can teach while being a nanny at the same time with extra pay, then that’s better as you also have a chance to get higher salary/income than those who perform only a single job. In every field and job in the world, patience is the ultimate key to survive. Working with people of different upbringing, beliefs and culture is really difficult but since you migrated to find a job in their territory, you have to adopt to what they’ve got while maintaining what you have in harmony with theirs. Comparison (of your history and background) is always there in your mind but you cannot force the people around you to follow what you think is right because it is what you’ve known and learned in your whole life. Sometimes, your whole being is degraded or being criticized, humiliated and discriminated but long and great patience is needed to survive. You’ve got to be long-suffering and patient if you’re an OFW. Imagine you are jumping into a cliff where you can’t see what lies below. It takes a lot of courage to do that. This is, I think the ultimate quality you need to have as an OFW. Forget everything above but never this one (courage, fearlessness and prayerfulness) when you decide to be an OFW. The first aspect you must have if you are an OFW or planning to be one is to have courage and being fearless. Courageous and fearless in facing different challenges in your work, away from your comfort zone. Working abroad needs a lot of courage. Courage and fearlessness includes being brave in facing difficult challenges or even discrimination. Fearless to face homesickness, depression, and many other emotional problems. In order to do this, you must be fearful to God who is the sole provider of everything; we have to put Him first before anything else. We cannot do anything without Him because He owns everything. We have to put Him first in everything that we do and He will give us what we ask for.